A striking two-in-one display, this twin head floor lamp is the perfect fusion of functionality and style. 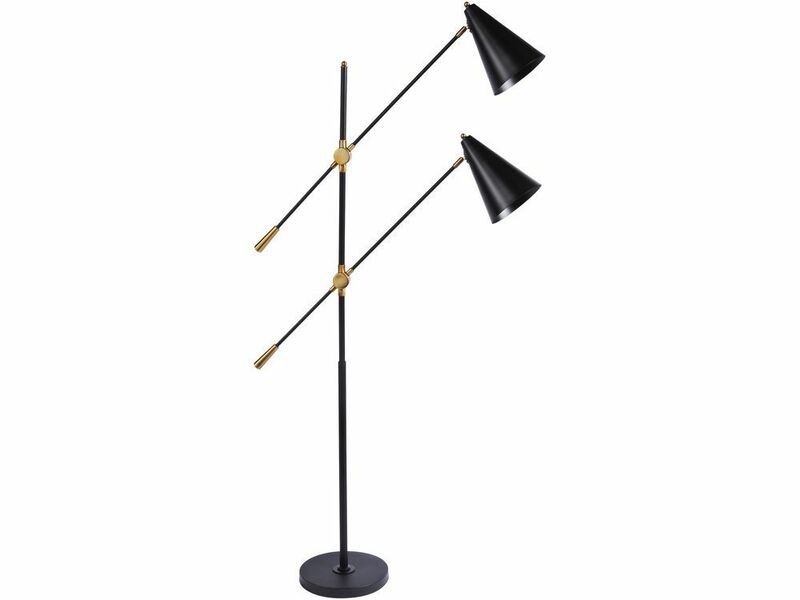 Featuring two conical matt black lamps mounted on a slim frame with brass fixtures, this black and brass floor lamp has a distinctly vintage style. Ideal as both a room light and a reading light, this black floor lamp is a handsome statement item that will add flair to a living room. Takes two screw cap E27 bulbs, maximum 40W.